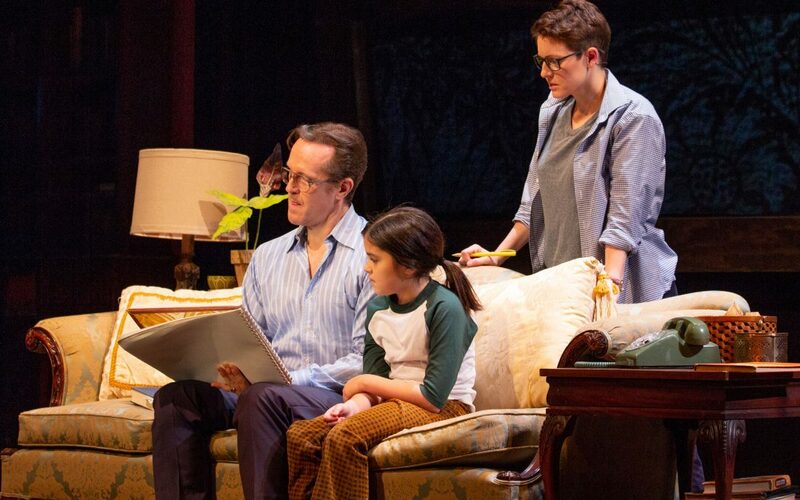 Based on the 2006 graphic novel/memoir written and illustrated by Alison Bechdel, “Fun Home” debuted at New York City’s Public Theater in 2012 and premiered on Broadway in 2015. The first Broadway musical that focused on a lesbian protagonist, the play won five Tony Awards that year including best musical. 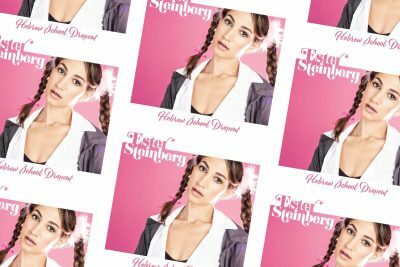 Its production was the culmination of almost 10 years of collaboration between Bechdel, Lisa Kron who wrote the book and lyrics for the musical and Jeanine Tesori who composed the music. Baltimore Center Stage’s production was directed by Hana S. Sharif. 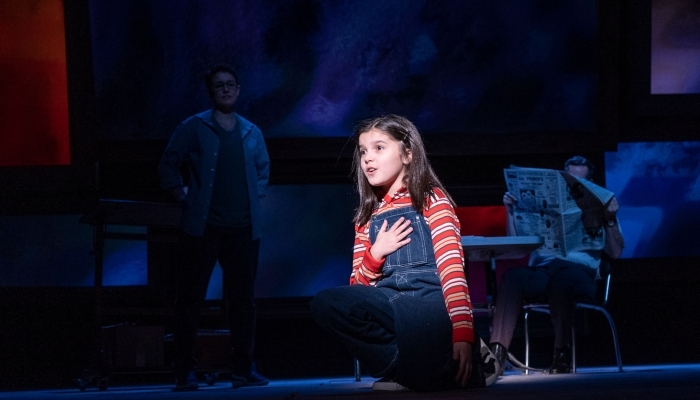 “Fun Home” has some significant surprises and I don’t want to give any of them away. 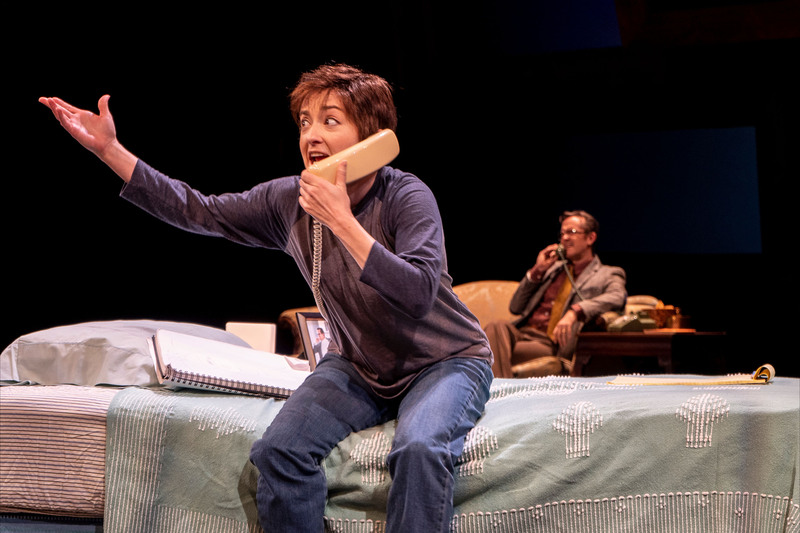 Suffice it to say that the play, which spans the 1970s to the present day, is about a family whose members and their relationships to one another are far more complex than they seem to be. 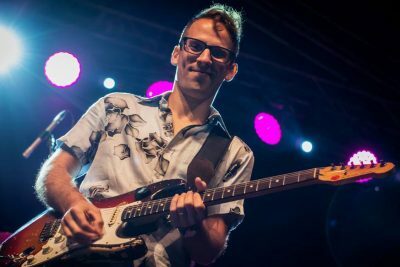 Told through the eyes of cartoonist Bechdel as a 9, 17 and 42-year-old, the show grapples with themes such as memory, regret, sexual identity, family secrets and repressed desire. 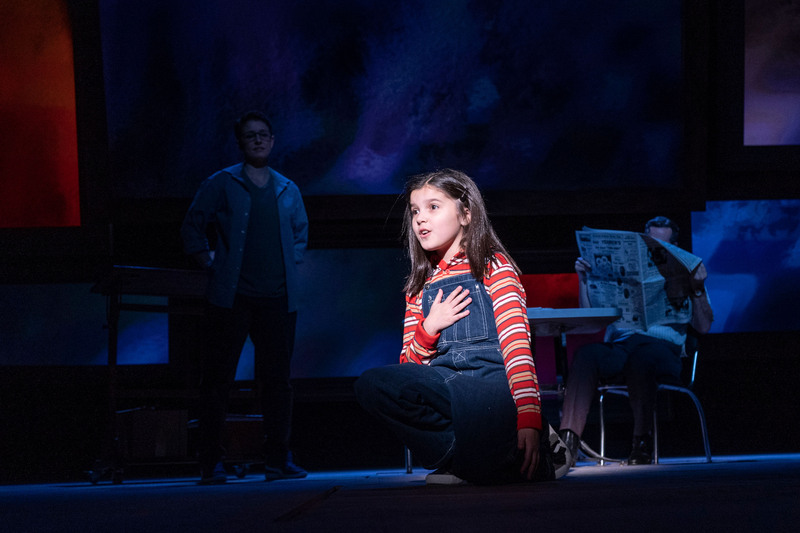 Simultaneously funny and tragic, “Fun Home” will resonate with anyone who has looked back on their childhood and wondered what was really going on with their parents and how their upbringing impacted their adulthood. 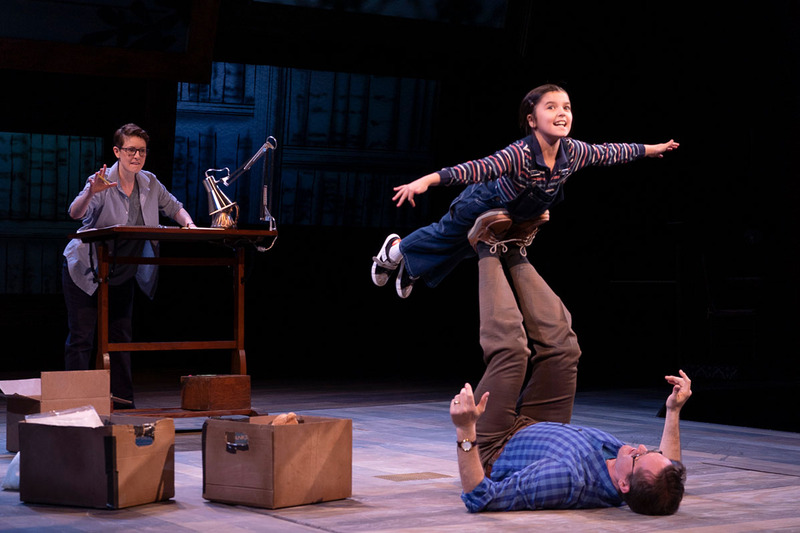 One of the strengths of this production of “Fun Home” is its actors. From the enormously talented Molly Lyons (spunky 9-year-old Alison) to Laura Darrell (confused and anxious college student Alison) to Andrea Prestinario (grieving adult Alison), who uses cartooning to make sense of her life, there isn’t a weak link. As Alison’s mother, Michelle Dawson’s performance of the song “Days and Days” is breathtaking and Jeffry Denman’s nuanced portrayal of Alison’s father — a desperate and deeply flawed character who is nevertheless capable of love, wit and charisma — is masterful. 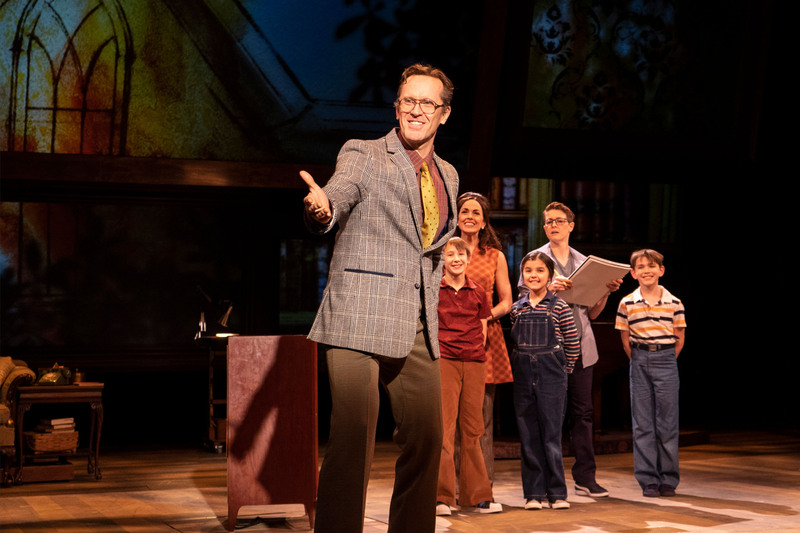 Tesori’s musical score seamlessly enhances Alison’s story, adding fun (“Changing My Major to Joan” and “Come To The Fun Home”) and heartbreak (“Days and Days” and “Telephone Wire”) that deepens the audience’s experience. 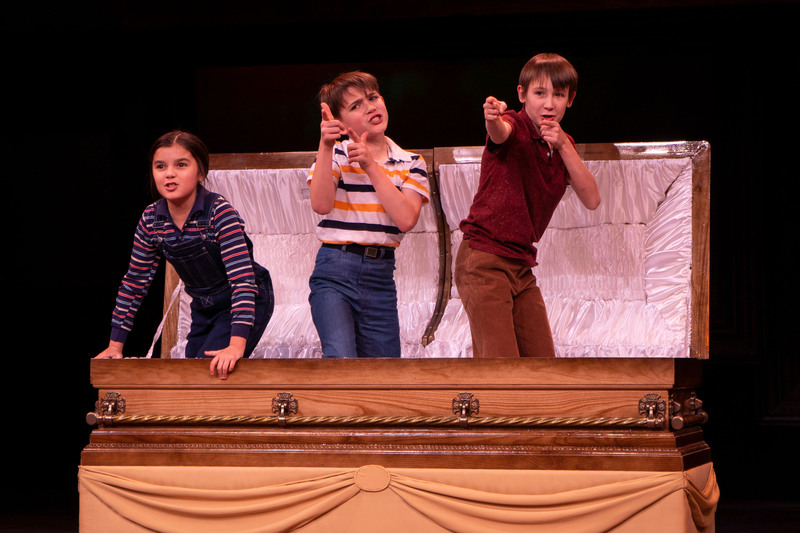 “Fun Home” closes Feb. 24. For tickets, go to centerstage.org. Do yourself a favor and see it! 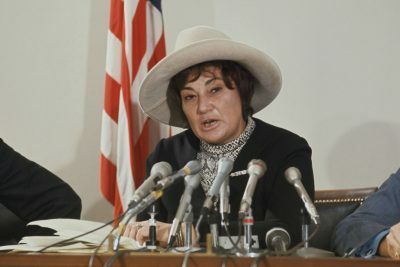 Sheila Sachs was a great attorney and a superb role model for generations of women learning they could have both a family life and a career.